 How to spot fake Nike Air Max 90, recognize cointerfeit and buy genuine Air Max 90 | iSpotFake. Do you? 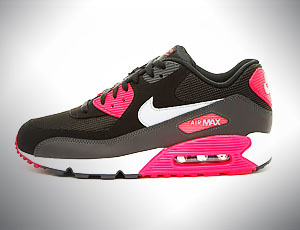 The Nike Air Max 90 released in 1990 and is considered to be the second flagship sneaker of the Air Max legacy. The most popular colorway is the 'Infrared', which was the original colorway in 1990. The Air Max 90 was designed by legendary Nike architect Tinker Hatfield. Here you will learn how to identify if a pair of Air Max 90 you are about to buy is genuine of just a cheap fake. Check if mesh on Nike Air Max 90 is too light and wide. If yes it seems to be a fake. The real Nike Air Max 90 have a tighter/thinner mesh pattern, which makes the mesh look darker. The mesh must not have larger holes where you can see the white material underneath. It must be a sports red and not solar red with a USA flag. 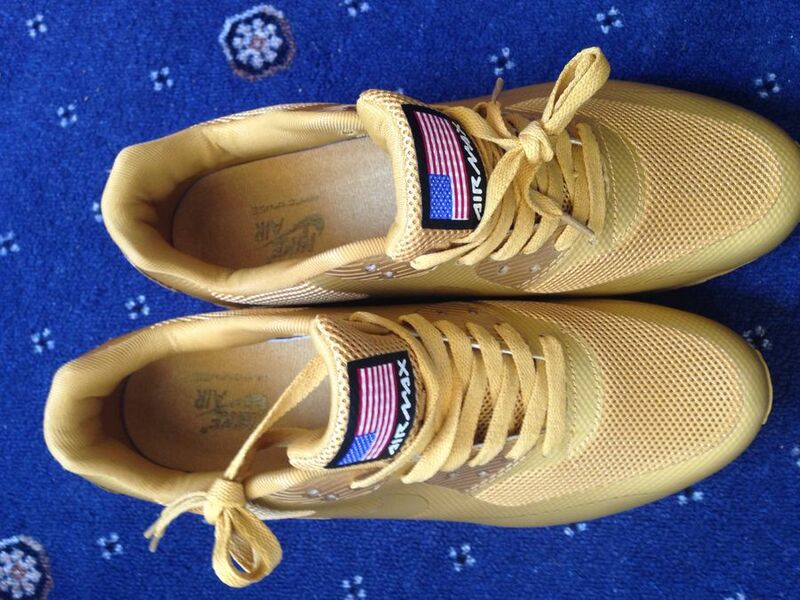 Compare the mesh pattern on the tongue as well as flag size to a genuine pair. You can google the image of authentic model of Air Max 90. The flag on the tongue must be small and not larger where it almost takes up the whole tongue. The material all around outside must be rubber material type and not vinyl plastic and shiny. The tongue must not be thick. The inside sole must be shiny ish where it looks like fur and not a plain cotton material where it attracts lint. 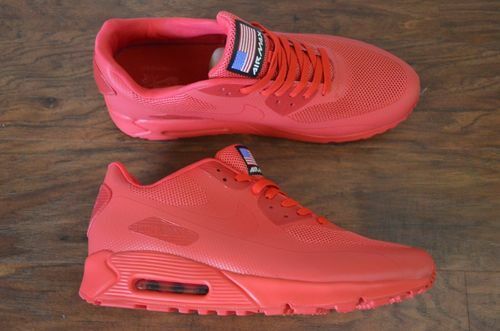 For example, The Independence Day pack only came in 3 colors (red, white, and blue/navy). The fakes comes in more colors such as sand, as well as a green, and a sky blue. Check right color on a Nike official website. Buying frome chinese e-malls you definitely buying fakes. Lots of fakes are selling from ebay too. 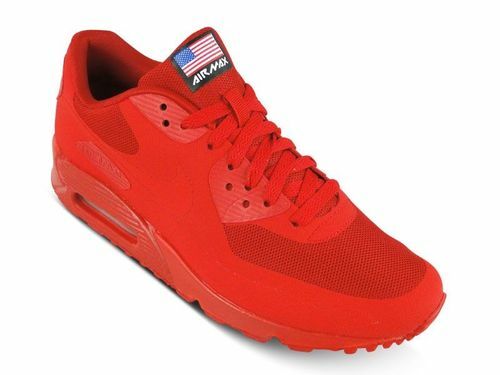 Best way to buy authentic Nike Air Max 90 is to buy them on Amazon or from official sellers/stores.